After a long day of presentations and booth demonstrations last week at NGON 2017, I discovered a dessert in a wonderful French restaurant in Old Nice that provided an excellent analogy of the main theme at the show this year: “tarte au citron déstructurée”. For those of you who don’t speak French, that would be a deconstructed lemon pie (pictured above). Analogous to the separated pie components in this dish, network operators I talked to at the conference are considering new technology consumption models and investigating the disaggregation of various network functions to accelerate their transformation objectives. There were plenty of opinions and diverse recommendations at the show. Nonetheless, some key points were agreed upon by most attendees. 1) The recommended next generation network architecture greatly depends on the end user’s business and operational model. To disaggregate or not to disaggregate? Which functions should be disaggregated? accelerating time-to-market by removing dependencies to single vendor feature rollout. Both of these benefits are achieved by deploying a network with an open photonic line system, whether the operator decides to deploy multiple vendor coherent optics or not. 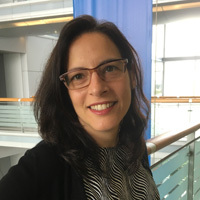 It was also acknowledged that there is a limit to how far down the road service providers are willing to go in mixing and matching different vendor equipment before it becomes a “nightmare to manage”. As quoted by a Tier 1 operator: “Disaggregation must be done sensibly and programmatically”. On the other hand, for non-traditional operators such as Microsoft, who presented several sessions at the conference, their focus is to deploy whatever piece parts they need to get the job done. They require access to hardware via open interfaces so they can use their own extensive software expertise to control the operation of their network. At the end of the day, there is no single right architecture approach. The selected architecture will depend on the user’s business and operational model. A key reason for moving forward with a more disaggregated network model is to drive out cost from the network. Paradoxically enough, integration and convergence of functions (ie. doing more with less) also achieves the same goal. As an example, operators unanimously see the value of serial integration in coherent optics – the ability to transport more capacity per wavelength (ex. 200G or 400G) to dramatically lower cost per bit in the network. Additionally, the convergence of DWDM, OTN and packet in the same platform were also viewed as benefits. Several operators presented their network evolution using converged packet optical platforms to simplify and drive out cost from the network. 2) The best way to tackle network transformation is “one bite at a time”. Network transformation to reach these goals results in a long and daunting undertaking: virtualizing hardware functions with software for increased service agility, adding more automation around operational tasks for accelerated time-to-market, leveraging new intelligence via predictive analytics for network resiliency and just-in-time maintenance, integrating changes into back-office systems, etc. How do you tackle the challenges of network transformation? “The same way you eat an elephant...one bite at a time”, explained Ciena’s Mervyn Kelly during a panel. Instead of trying to boil the ocean, operators can focus on overcoming one challenge at a time, and automate and simplify one process at a time. A good example of an operator using this approach is Windstream, who is using Ciena’s Blue Planet orchestration software to automate wavelength provisioning across its multi-vendor optical network. How do you tackle the challenges of network transformation? The same way you eat an elephant...one bite at a time. To meet DCI capacity requirements, innovative technologies are currently being deployed. Most operators are increasingly deploying coherent 200G DWDM solutions for DCI. Microsoft is deploying a non-coherent PAM4 solution on a large scale for their network. Some debate and live digital surveys were held on whether lower power non-coherent or more spectrally efficient coherent solutions would prevail in 2017 and beyond. The audience predicted that the majority of DCI deployments moving forward would be coherent. The upcoming 400G ZR standard, and resulting low power 400G coherent pluggable module is envisioned as the optimal solution for DCI deployments moving forward. Colt, who owns the largest data center footprint in Europe, also spoke about the value of being more agile in offering DC connectivity services. Agility is enabled by using state-of-the-art coherent technology, fully flexible photonic layer, and real-time provisioning via SDN control. The audience predicted that the majority of DCI deployments moving forward would be coherent. The upcoming 400G ZR standard, and resulting low power 400G coherent pluggable module is envisioned as the optimal solution for DCI deployments moving forward. Speaking of DCI, it was an exciting time for all of us at Ciena at the NGON event this year as we picked up two awards, more than any other vendor at the event, including the “Best Optical Product – DCI/Short Reach” award for our Waveserver Ai platform. Ciena also won the “Best NFV Service Orchestration Implementation” award for our D-NFVi solution. What could be sweeter than that? Having our customer Colt also win two awards at the event. Congratulations to Colt for being the “Best Data Centre Interconnect Provider” and offering the “Most advanced Cloud interconnect service”! 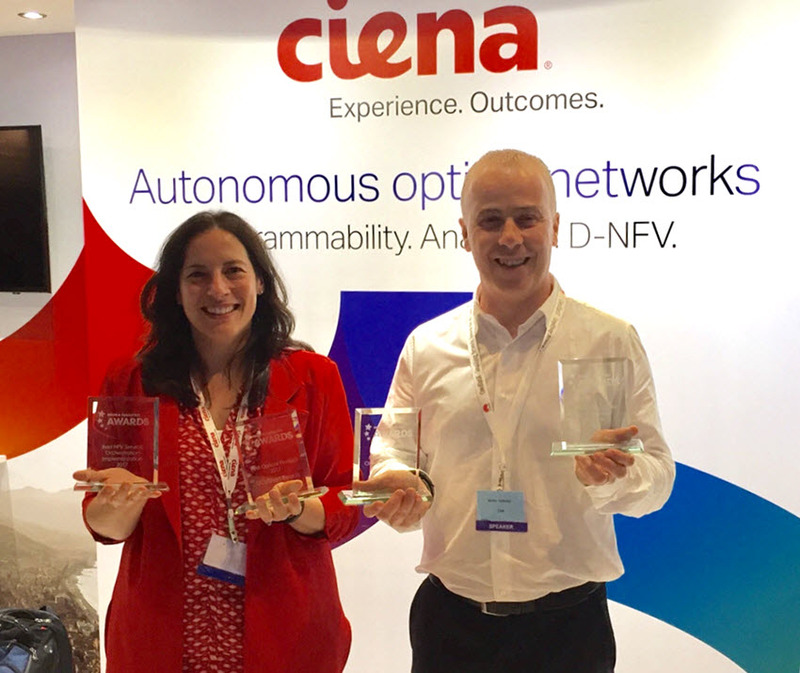 Ciena's Helen Xenos and Mirko Voltolini from Colt show off the four combined awardds the two companies took home from NGON 2017. You may be wondering - so, how did the “de-structured” lemon pie taste? Is it better than traditional lemon pie? The answer is - it tasted like regular lemon pie, delicious! Similarly, what’s important from a network perspective is ensuring a superior end user experience, using whatever architecture makes you successful in achieving that goal.